Have you ever imagined what it would be like to find a Mark Rothko at an estate sale being priced at a a couple of dollars? That's exactly what we felt when we discovered these lost gems of modern architecture! Part of our forgotten modern architecture series where we pay respect to absolutely brilliant but unfortunately totally forgotten modern architects. 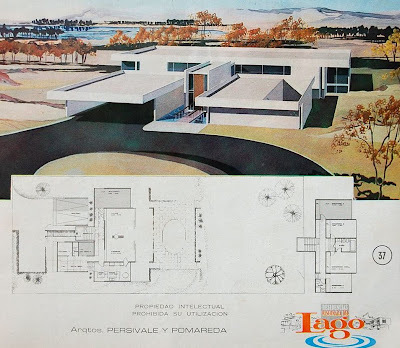 These striking architectural drawings from the 1950's and 1960's feature beautiful minimal white modern houses with simple geometric forms and all white facades. Everything perfectly balanced. Down to the last detail a perfect modernist touch perhaps like an orange door or a water feature. You will be flabbergasted to find out that these were not built in Europe, neither in North America...they were constructed in Peru in the Rinconada Del Lago suburb of Lima! We are not sure how many of these beauties were ever completed. Several incredible architects worked on this project. 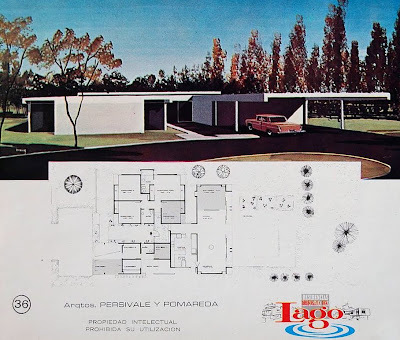 Some of them including "Arquitectos Persivale Y Pomareda" created outstanding houses. 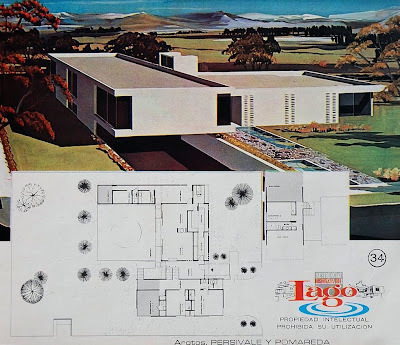 So while architects like Richard Neutra, Pierre Koenig, Eichler, Cliff May and Raphael Soriano received plenty of attention and press in the USA, their South American colleagues simply never received any press (Benedikt Taschen: start your presses). 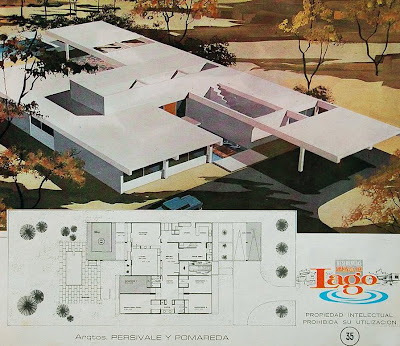 So thank you "Arquitectos Persivale Y Pomareda" for creating these wonderful modern houses. Your work will now finally find a place in modern architecture history! 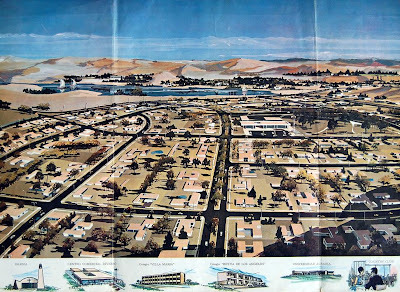 Please check our blog often since we will be posting more examples of forgotten modern architecture.